Elementary Shenanigans: Updated!!! Second Grade Word Work and Of Course...a FREEBIE!!! Updated!!! Second Grade Word Work and Of Course...a FREEBIE!!! Is it just me or does anybody else lose sleep at night contemplating and changing the way they run their phonics and word study programs? Ok...seriously I am not THAT bad. Although I have a strong foundation in phonics instruction, I have just never really implemented/tried a program that I have loved and found completely effective for my students. Honestly, I feel guilty when I see my higher-level learners completely bored and my challenged kiddos feeling completely overwhelmed. Then I am unsure of whether or not to make the lesson harder/easier, not to mention the fact that some of the students (no matter how hard they try) never really seem to master all of those high frequency words. I mean, you can only SPIRAL so much! Needless to say I feel like my phonics instruction is a ticking time bomb and I just knew that it was only a matter of time before an explosion occurred (not by the students, of course)! So to prevent that crazy disaster from happening, I spent time reading and researching this summer to see what other teachers have found effective in their classrooms. I think I spent several hours really digesting the new information and deciding upon how I would try and modify/implement her 3rd grade program into my 2nd grade classroom. After much revision, I think I really like what I have come up with. 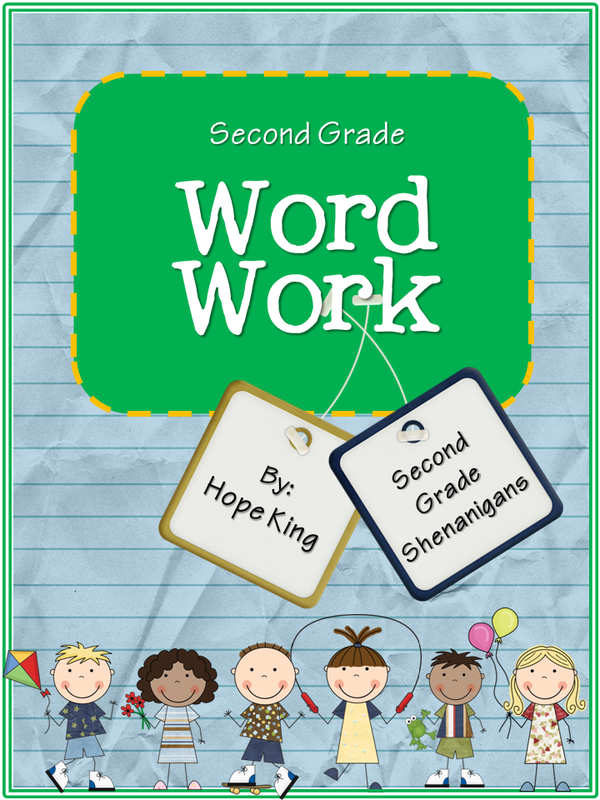 I have created a Second Grade Word Work Program which includes 28 units to build letter/sound relationships and word skills. Each unit contains a weekly list and a challenge list which is perfect to challenge and reach every learner and provide them with opportunities to excel at their own level. Talk about a stress reliever! Second Grade Word Work is packed with 248 pages (no joke...whew!) 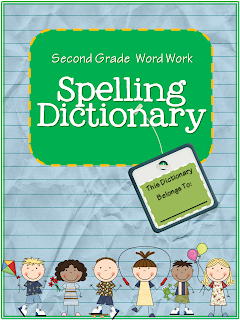 of multiple resources to get your kids on the move in spelling. These resources include parent letters that strives to explain the new skill for the week while building that home to school connection, individual student dictionaries, spelling menus to encourage spelling practice while having fun and over 300 word cards that can be incorporated onto any word wall. 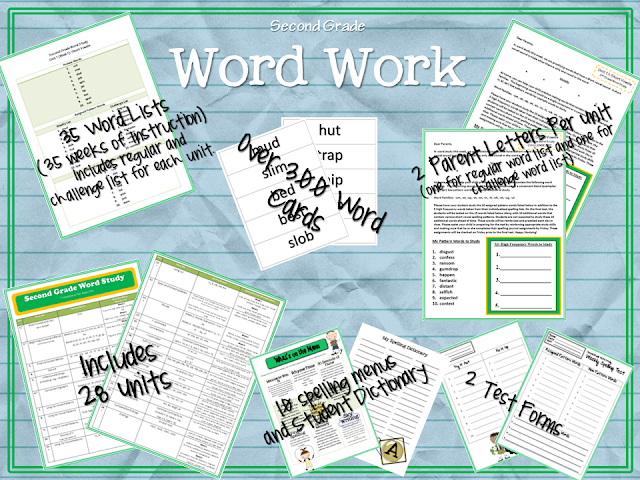 It was truly my desire to have my word study program a completed resource that was ready to be printed, put into a notebook and copied for student use. Easy as 1...2...3...right?!? I just can't wait to give this new strategy a little try. I just have that "feelin" that it is going to work like a charm and really develop my students knowledge in sounds and word skills to become fluent spellers! If you too have not found that "perfect fit" phonics or word study program, go check out my Second Grade Word Study Unit on TPT. Click on the picture below to get a direct flight out of that spelling slump! This item is currently 20% of, along with all other items in my TPT store! AND...just in case you are in that sp﻿elling slump discussed earlier, here is a free download of the dictionary included in my unit just for YOU!!! Enjoy! My 2nd grade team has not been satisfied with our spelling. 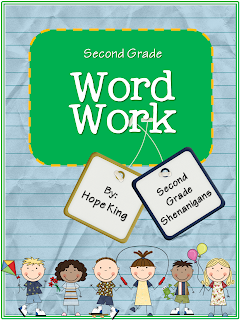 We too have been looking at Beth Newingham's word work program and adapting it to 2nd grade. We put together the first month of regular and challenge lists for our word skills. I'm getting your unit from TPT. Thanks for all the work. I also love your freebies on the TPT too! This is soooo funny. I was trying to do the same thing based on Beth's word study. I just finished buying all the WTW books and was about to dive in! I can't wait to see your's!!! I'm so glad that you created this! I have always loved Beth Newingham, and just 2 weeks ago decided to change my spelling/word work to her format! I'd started to work on it, but boy was it a lot of work! I'm definitely buying this to supplement to what I've already started! Thanks! I adapted Beth's format last year for my fourth grade class half way through the year. Didn't get as far as you, but the kids enjoyed what we did. This year I am moving back to second, so when I saw this on your blog I instantly went and purchased it You are amazing!! Thanks a bunch!!! I was wondering how to incorporate Beth's system, too! Just curious...how many different spelling menus are included with this packet? I love your spelling units. Just curious if you would be willing to make a 4th grade word study unit or if you would be willing to sell me the word documents of your 2nd grade stuff so I could just change the words for 4th grade? Would this be a possibility? I have a few questions before I purchase your awesome product. 1. Are there weekly activities that you use in the classroom included? 2. Where do the high frequency words come from and how do you manage that? I love your 2nd Grade Word work! I have a question, how do you organize your spelling? Do the kids have notebooks? folders? Thanks! Same question as Mrs. Maute. My second graders have a tough time keeping track of their spelling tic tac toe boards and personal lists. I just found $1 binders on Staples so I'd love to know how you set up your notebooks so I can follow your lead;) Thanks!